AUTUMN FLOWER SHOW: organised by the Plumpton and District Horticultural Society, takes place this Saturday (September 15) in the village hall. All are welcome to go along at 2pm and enjoy the exhibits, refreshments and tombola. There will be classes for flowers, vegetables, cookery and crafts so do enter. For details of the classes call Gill Stewart-Brown on 01273 890051. MASCOT RACE: On Sunday September 23 at Plumpton Racecourse, as part of their Family Raceday, there is a mascot race in aid of Chailey Heritage Foundation. The Haywards Heath Lions Mascot Dash will begin with a Mascot Parade at 1.15pm. The race will start about 1.30pm and be followed by prize giving. JUMBLE SALE: takes place on Saturday September 29 at 2pm, at the village hall, to raise funds for Plumpton Primary School PTFA. There will be cakes, tombola, toys, books, clothes, bric-a-brac and much more. There will be lots to rummage through so do go along, you may well find a bargain. Donations of jumble will be much appreciated apart from videos as these no longer sell. Please take jumble to the hall from 9am to midday. WALK: on Wednesday October 3, with the Footpath Society, will now start at 10.30am from near to the Plough Inn, Pyecombe (old road between A23 and A273 (Map Ref: 292 134). It will be six miles and include Chatto, Brapool, Sweet Hill, South Downs Way and Haresdean. Take a picnic with you. For more details call Bernie Kempton on 01825 722649 or 07791247025. CIRCULAR WALK: with the Footpath Society, linking the three churches of Ditchling, Westmeston and Streat is on Sunday October 7 at 2pm. Meet at Ditchling Village Hall carpark (Map Ref: 325 151) for this four mile circular walk ready to start walking at 2pm. For more information call Margaret Land on 01273 890125 or 07990876391 and Ann Kelly on 01444 245031. ARTS SOCIETY: used to meet at Plumpton village hall and you may have attended in the past. Should you wish to continue the group have joined forces with the Uckfield, Lewes & Newick Art Society. They now meet at the Uckfield Civic Centre and their meeting on Wednesday October 10 at 2.30pm is entitled ‘The Jewel in the Crown’ and the speaker Nicole Mezey. The cost is £7 for non-members and for further information please call Ann McNorvell on 01825 721458 or newickdfas2017@gmail. WOMEN’S INSTITUTE: meet on Wednesday October 10 at 7.30pm. Visitors and new members are always welcome, so do go along. For more information call Val Thompsett on 01273 891256. JUMBLE SALE: at the village hall, on Saturday October 13 at 2pm is to raise funds for the upkeep of the village hall. All who use the village hall are asked to assist in whatever way they can, either with donations of jumble or cakes or help on the day. Your support will be much appreciated. FOOTPATH SOCIETY AGM: takes place on Friday October 19 at 7pm for 7.30pm at Plumpton Sports Pavilion. FIVE MILE WALK: with the Footpath Society, on Saturday October 20 starts at Horsted Keynes car park (Map. Ref. 385 281) at 10am. 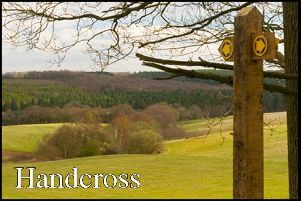 The walk will include Horsted Keynes Station, Vox End, Restlands and Broadhurst and an optional lunch afterwards. For more details call Gill and Geoff Gamble on 01273 891218 or 07719540121.